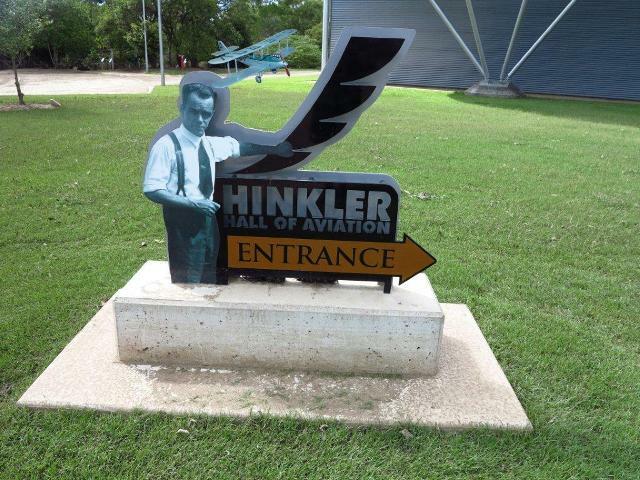 Following the floods in Bundaberg from ex Tropical Cyclone Oswald, Queensland Museum Development Officer for southern inland Queenland, Lydia Egunnike, also received a call for assistance from the Hinkler Hall of Aviation. The facility suffered minimal damage in comparison to Gayndah Museum, the Bundaberg Railway Historical Museum and the Australian Sugarcane Railway. 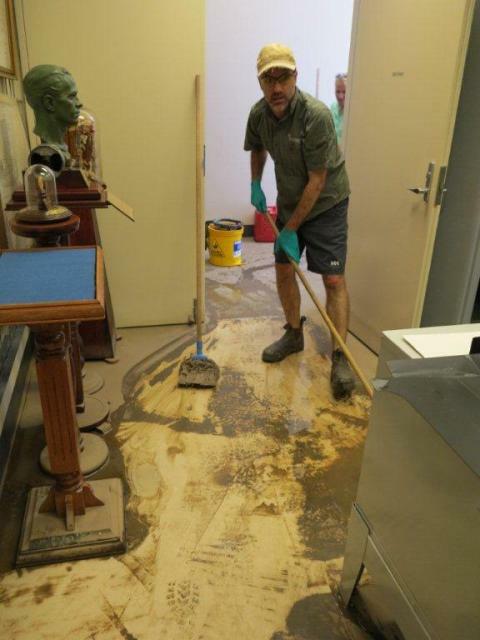 However, flood waters still infiltrated the main building, leaving their residual mud and damp throughout the displays, collection store, research room and foyer. When Lydia, Ewen McPhee (MDO, North Queensland) and Dr Jo Wills (MDO, Far North Queensland) arrived, the women who make up the Hinkler Hall staff had been working for days to clean water and mud from the floors. 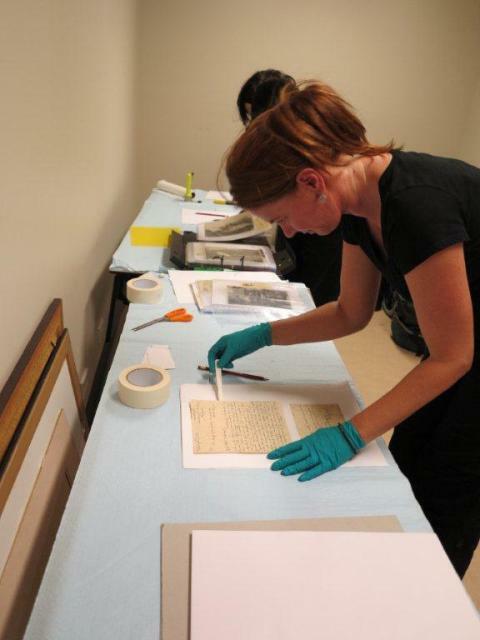 Their efforts meant the research room and foyer area could become a quarantined space for working on and drying water-damaged paper material. 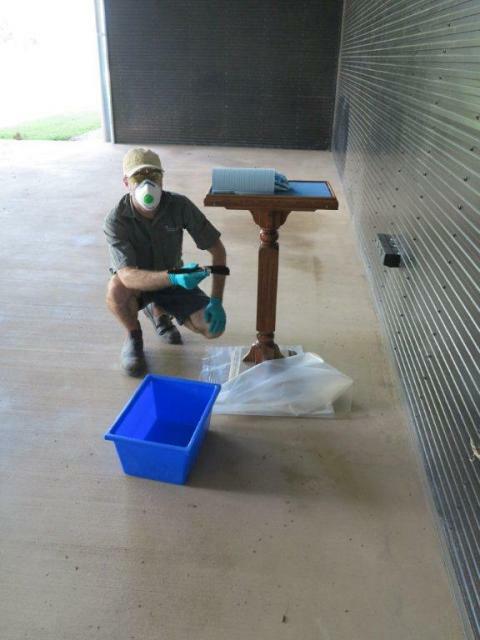 Ewen McPhee cleaning mud from the floors of the collection room. 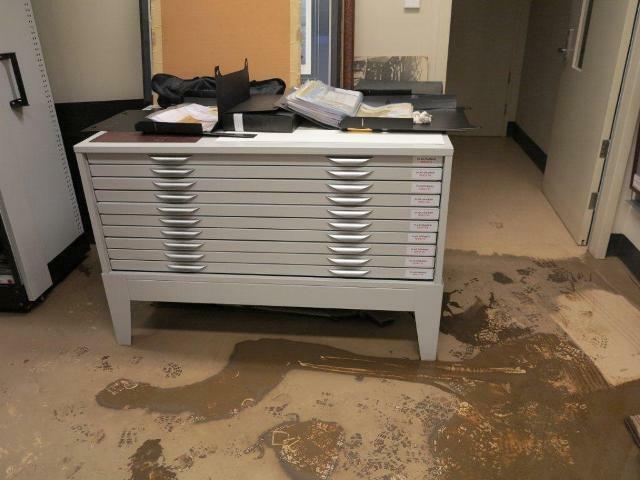 Mud through the collection room at Hinkler Hall. Water in the collection room affected one tier of shelving only and left mud on some timber pedestals holding collection items. Most paper and photographic material was stored on high enough shelving to avoid saturation. 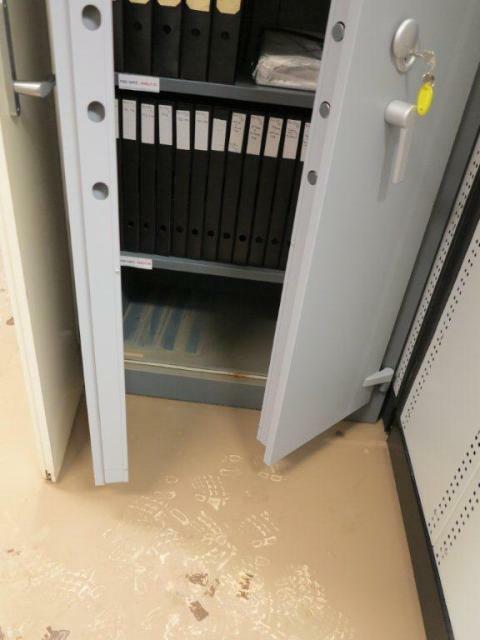 Cabinet affected by water damage in collection store. Material on the affected shelves was stored in archival folders and sleeves. Water infiltrated many of the individual sleeves within the folders, and as a result the MDOs removed the items (photos and paper based records) from the sleeves, often cutting through the mylar to minimise damage. 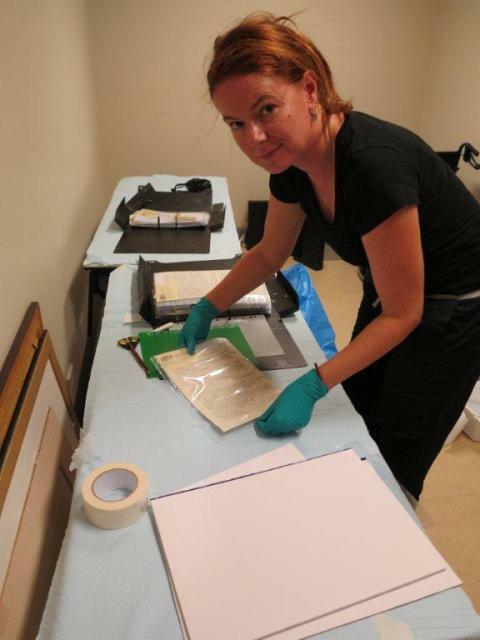 Items were placed on blotting paper and laid out to dry – only a few items appear to have been affected by mould. As the collection was so well documented and catalogued, every effort was made to keep material in sequence. Dr Jo Wills removing water affected items from sleeves. Dr Jo Wills placing items on blotting paper. 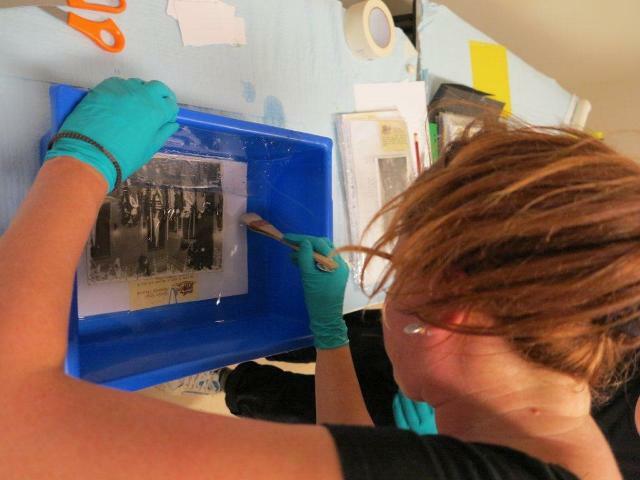 Dr Jo Wills cleaning water damaged photographs. 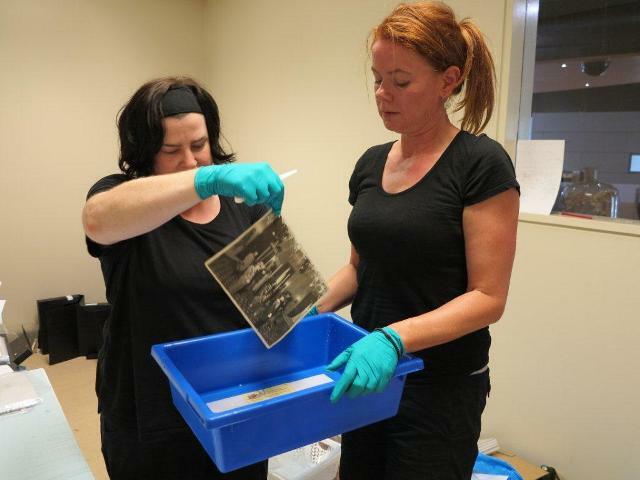 Lydia Egunnike and Dr Jo Wills cleaning water damaged photographs. The collection room also contained a number of artefacts on timber pedestals. MDOs removed mud from the pedestal bases. The artefacts were not damaged. Ewen McPhee removing mud from timber pedestals with distalled water. In addition to the collection room, water also infiltrated the Hinkler Hall display areas. 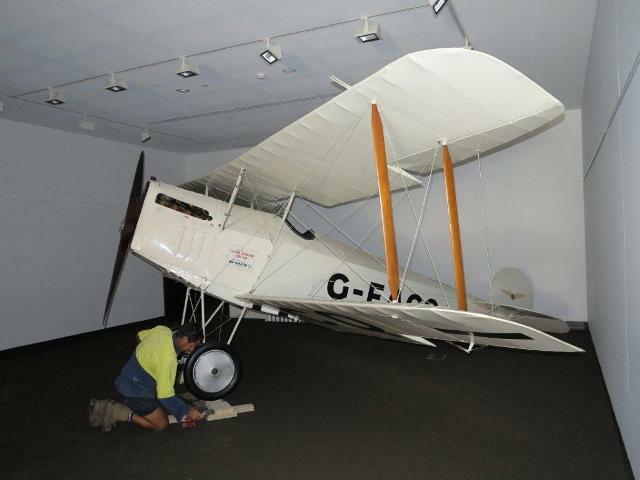 This included the room that holds Hinkler’s “Avro Baby”, a 1919 aircraft on loan to the hall from Queensland Museum for five years. Fortunately, the aircraft was undamaged, though saturated carpet in the room had to be stripped out, which meant the object had to be elevated. Hinkler’s “Avro Baby” in exhibition space. 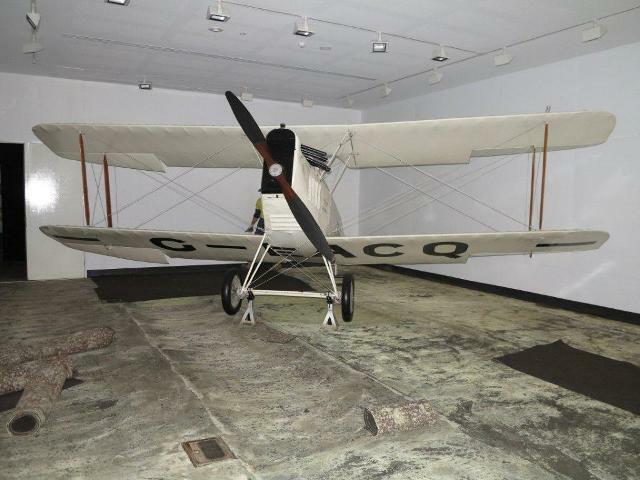 Hinklers “Avro Baby” in the exhibition space following the removal of carpet. MDOs were able to finish working on the salvaged material and create a temporary storage area in the research room for staff to work on recompiling the damaged folders. Posted on 20 February 2013, in Uncategorized and tagged aviation, Bundaberg, disaster. Bookmark the permalink. 1 Comment.